The SEFAC screw/nut system is totally irreversible by design. Every single millimeter is irreversible due to the angle of the screw pitch, which is too shallow to allow the fork to lower without mechanical input from the motor. On this basis, there is no risk of the vehicle lowering without a worker deliberately activating the motor. We also guarantee the safety of our equipment by systematically testing each mobile column using our own test bench before release. The columns are loaded with up to 150% of their nominal loads during these tests. A safety system must be added when hydraulics are used, as this technology is not intrinsically safe: a ratchet. This ratchet must be held against a notch approximately every 1.97 inches to allow for safe working, reducing your options proportionally. As well as an actuator, hydraulic solutions need safety support legs with a potential height of over 4.37 yards, dangerously near to the bodywork. When a vehicle is lifted (damaged or low-pressure tires, defective suspension systems, etc. ), it could easily come into contact with the support legs. This support leg ensures the “mechanical” irreversibility of the “hydraulic” actuator with a ratchet, however this ratchet only fits approximately every 1.97 inches. With this system, you need to select a height, by raising or lowering the vehicle, to ensure that the ratchet is in a “safe” position! 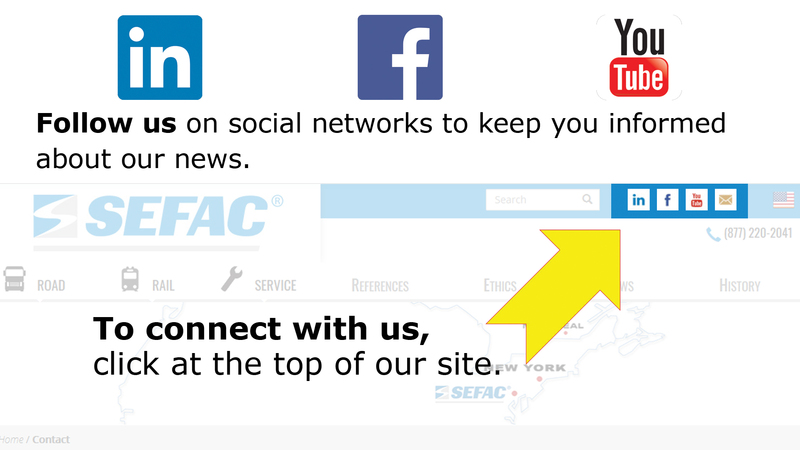 With SEFAC mobile columns, all you need to do is release the up/down button and allow workers to operate safely. No height adjustments or ratchets are necessary thanks to the natural irreversibility of screw/nut column lifts! SEFAC column lifts cannot buckle as the screw is suspended. The screw is subjected to vertical forces, rather than lateral forces. 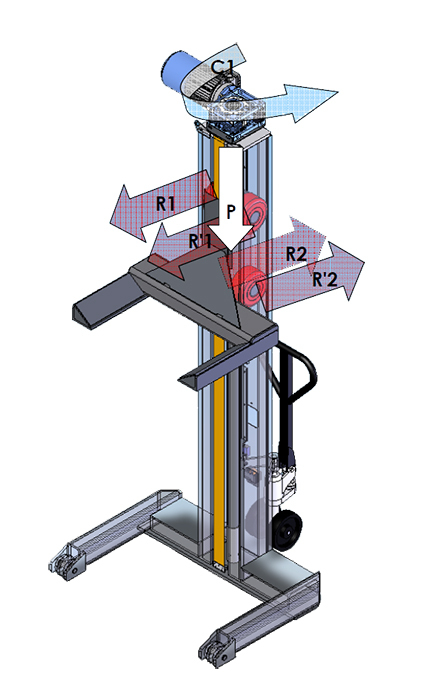 With hydraulic systems, the actuator is stressed upwards and downwards, and applies an upwards force while the load applies a downwards force. A risk of buckling exists as the guide seals or plates wear leading to premature actuator wear. Screws of SEFAC lifts are suspended. Forces are only directly vertically downwards. Screws are only subjected to traction forces. with the ball-screw model, even less mechanical maintenance is required: the screw suspension stop must still be lubricated annually, but the screw only needs lubricating every 5 years. More servicing is required for hydraulic systems: seals are not 100% leak tight and the oil which escapes is replaced with air. regularly replace the guide plates and seals to avoid the actuator buckling (bending). In fact, the following statement is far from true: “hydraulics = zero maintenance”.